The Women’s Library is calling for Women artists to participate in our forthcoming exhibition Herland: In search of a Female Utopia, opening in Sydney on 8 March 2019 to celebrate International Women’s Day. 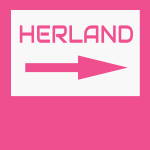 We are calling for Women artists to respond to the theme of Herland by engaging in a dialogue that challenges inequality and social constructs, asks what the future holds and questions what part Women will play in this future. The theme of International Women’s Day 2019 is #Better for Balance; questioning how we might build a balanced world, and in conjunction with this topic, The Women’s Library is asking Women artists to show us their view of a balanced world, what will this future look like and will it be female? Click the [ Register ] button in the top right corner to start your entry. You can submit information any time before the closing date.